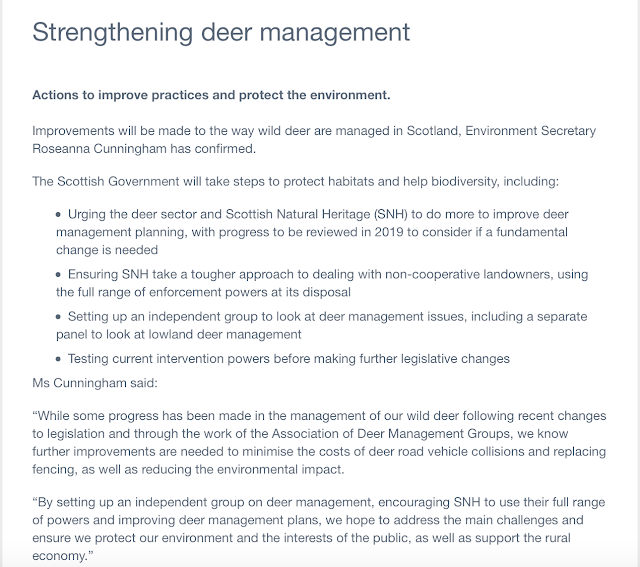 Responding to measures announced today (June 29) by Environment Secretary Roseanna Cunningham MSP for strengthening deer management in Scotland, Scottish Gamekeepers Association Chairman Alex Hogg said: “Rushing to new powers when existing ones had never been tested would have been problematic, especially when SNH were granted fresh powers last year under Land Reform legislation. “This included the ability to levy fines of up to £40 000 for those failing to comply with deer control schemes. The measures announced today focus on using and enforcing existing legislation, which is, in our view, a logical approach. 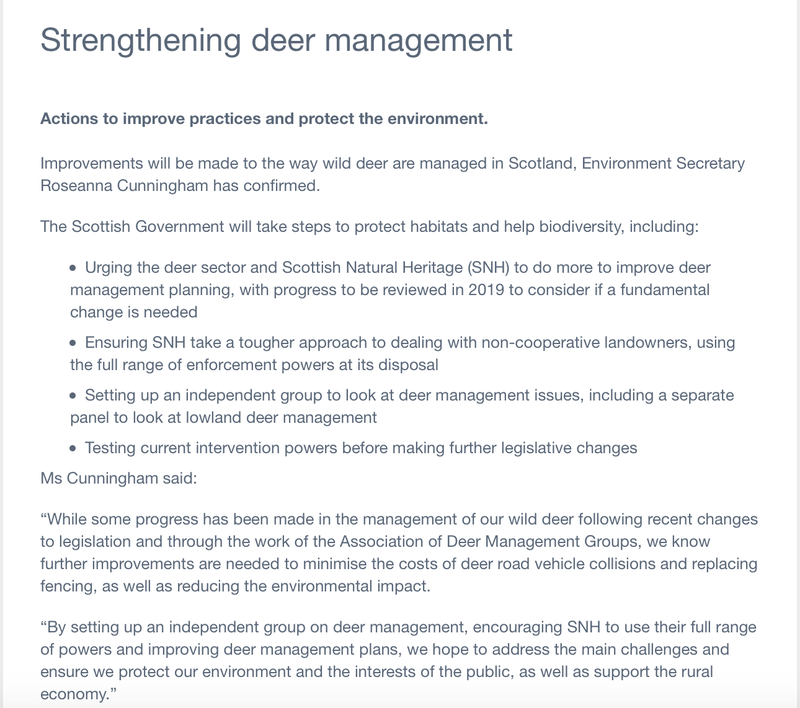 “Challenges remain in deer management and today’s announcement targets areas where more effort and different approaches are required, such as in lowland Scotland and in urban fringes where there is a growing roe deer population. “However, it also recognises that improvements have been made in the deer sector in the last few years and compromising that progress now would not be in the longer term interest. Today's Announcement by Roseanna Cunningham (below).